Not A Member? CLICK HERE To Register Now! GothicMatch is the first, the largest and the best online Gothic social networking site for Gothic singles in the world! We have helped thousands of Gothic singles to date other Gothic girls, Gothic boys, EMO girls or EMO boys. We are a free online gothic dating site offering a completely free gothic dating service for goth and emo singles seeking goths friendship and matrimony in your area. Our gothic dating site encourages gothic women, gothic men, emo women and emo men to our gothic and emo community. New members are joining every minute. We provide Gothic dating service and EMO dating service, we also provide Gothic forum, Gothic blog for Gothic people to share Gothic photos, tattoo pictures and Gothic stories. 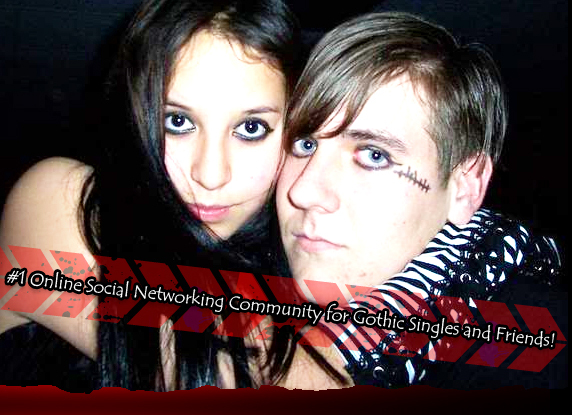 GothicMatch is not only an online Gothic matchmaking service, it is also a Gothic club to meet Gothic friends. Our site has all the features you need to find goths in your area and will enable you to find local members matching your interests. Membership to our free online goth dating site offers customized search to match your preferences. Our customized search including: Advanced search, Quick search, Username search, New members search, Brithday search, Astrological sign search, State search, province & zip search, postal code search, city search, Premium search and PREMIUM MEMBER search. In addition to our customized search features, we also offer other unique features such as Live support, Gothic date ideas, success stories, Goth dating forums, Largest goth blogs, Online goths chat, Goth Fashion show and Gothic Tattoo show. Totally Free to Place Profile and connect with hundreds of thousands of Gothic singles or EMO people like you now! (As a Silicon Valley firm, we have been in the online Gothic dating business for over 18 years!) Try our online gothic dating site by joining for free now and find gothic singles in your area who are looking for gothic friendship and matrimony.